sterling silver jewellery york fashion jewellery Statement Fashion Jewellery: Interlinking Circles Drop Earrings in Shiny Yellow Gold Finish (6cm x 3cm)(YK217) Sterling silver jewellery range of Fashion and Danon jewellery. Large but lightweight interlinking circle earrings, finished in shiny yellow gold. Comes wrapped in tissue and placed in an organza bag. 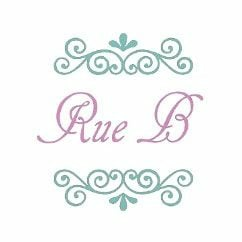 For unique and modern jewellery at affordable prices, look no further than Rue B's fashion jewellery collection. Statement drop earrings, brand new at Rue B! This fabulous pair of earrings feature four circle hoops, two small (approximately 1.5cm across) and two large (approximately 3cm across). They link together to form a large but incredibly lightweight statement piece. They are finished with a very shiny yellow gold tone for a contemporary twist on a classic design. The total length of the drop is approximately 6cm and the earrings have a stud fastening. Comes wrapped in tissue and placed in an organza pouch.